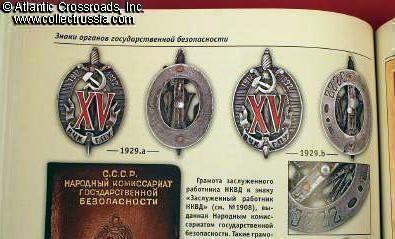 "Avers 8 - Catalog of Soviet Badges and Jettons" 2008, V Krivtsov, 736 pages, Russian text. 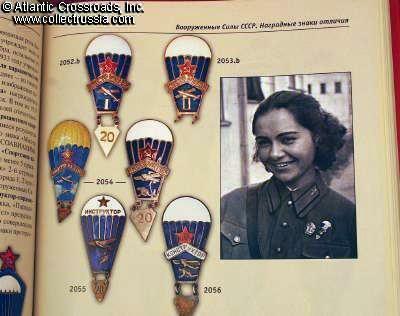 "Avers 8 - Catalog of Soviet Badges and Jettons" 2008, V Krivtsov, 736 pages, Russian text. An amazing 8 ¼" x 10 ½" x 1 5/8" thick (the coin in one of our photos is an American dime! 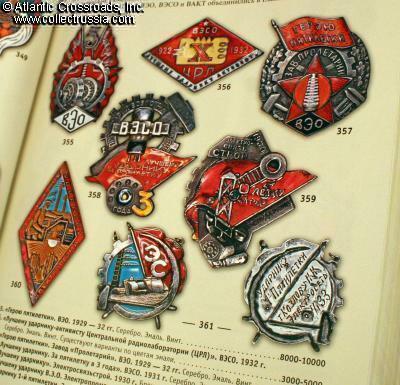 ); The latest in a long running series of reference books, this incredibly comprehensive volume (5,000 items) contains the highest quality color images of Soviet Badges and Jettons available anywhere today. 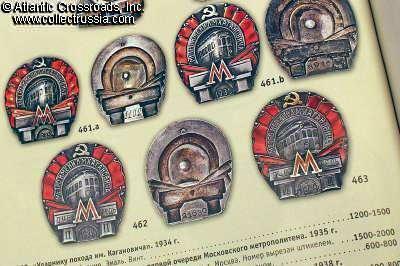 As an added feature; interspersed among all of the color images of the badges are occasional period photos of some of them being worn. 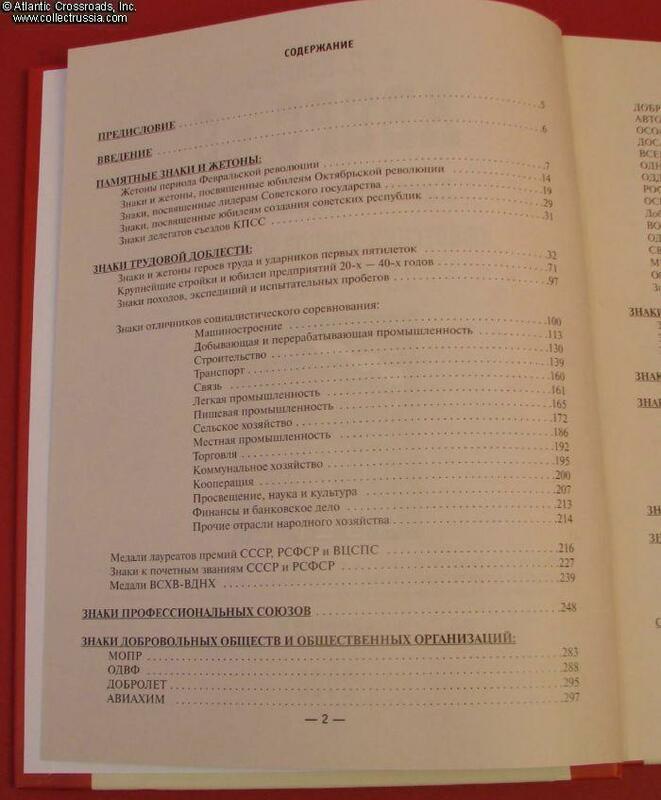 While not a book about documents per se , there are also some very worthwhile illustrations of unusual award documents, too. 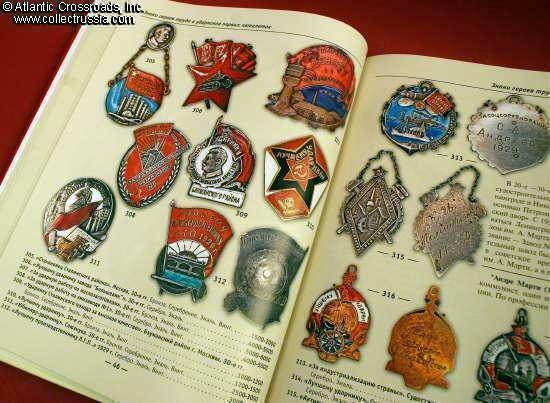 As is true of every price guide that has ever been printed, the prices provided in the book were out of date even as the first copy came off the press, but a comparison of the values shown here will clearly illustrate the relative availability and/or scarcity of Soviet badges when compared to each other. 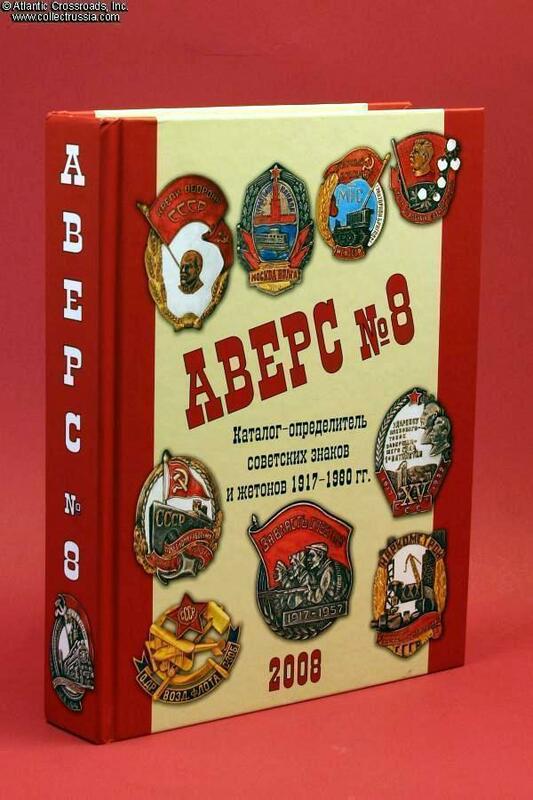 This book will quite possibly become the source of one of the standard numbering systems that dealers, auctioneers, and collectors will use in future years to identify soviet badges. 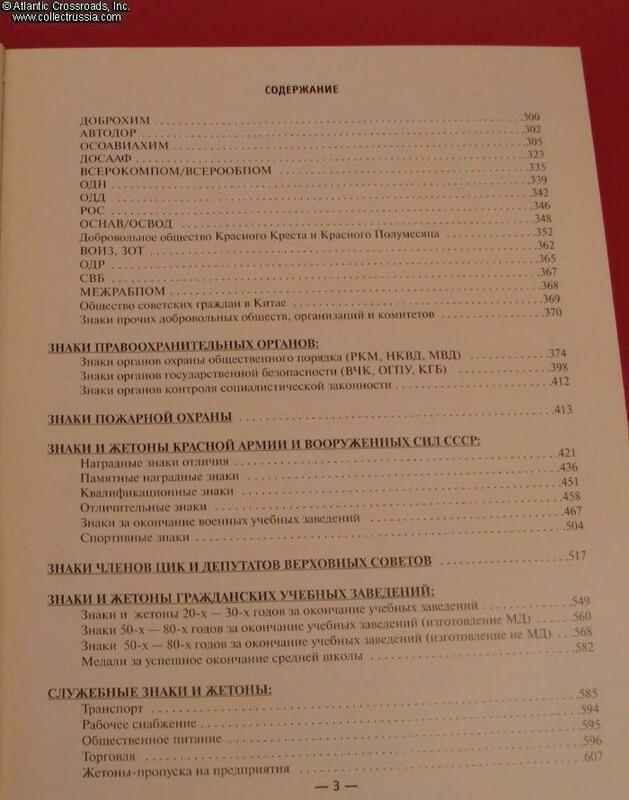 We are offering a brand new copy in mint condition.